It appeared from the start that Sunday was not the Saints’ day. The Saints fought back, but in the end, the Vikings overcame their painful playoff history with a 29-24 win. This one was a tale of two halves, and there was plenty of drama with four lead changes in the final three minutes. The Vikings took a 7-0 lead on their first offensive possession and the defense kept Drew Brees off rhythm in the first half. After the first quarter, Brees was 1-of-6 passing for three yards and a pick. The Vikings shut the Saints out entirely in the first half, taking a 17-0 lead into halftime. The Vikings didn’t allow a single third down conversion to New Orleans until the third quarter. But then the Saints came surging back. New Orleans finally got on the board with a 14-yard Brees touchdown pass to Michael Thomas with 1:18 left in the third. Then the Saints defense responded on the following drive when safety Marcus Williams picked off a duck from Case Keenum. 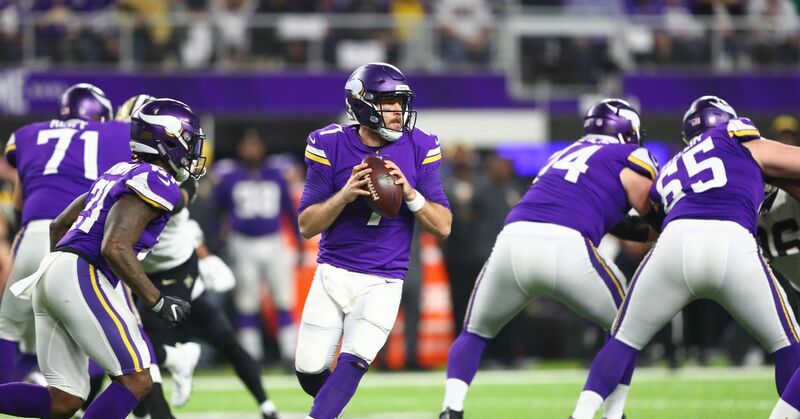 The Saints turned Keenum’s mistake into seven points, pulling within three of the Vikings early in the fourth quarter. Everything was swinging in the Saints’ favor. Then Sean Payton derailed momentum with two bad challenges in a row, and two blown timeouts as a result. A bizarre decision to run a trick play with Willie Snead at quarterback on third-and-1 with 9:12 left in the fourth did further damage. In the end, special teams saved the Saints. Taysom Hill — who Sean Payton sees as potentially the quarterback of the future for the Saints — blocked a Vikings punt with 5:28 remaining. Drew Brees turned it into a touchdown, and the Saints took a 21-20 lead — their first of the game.